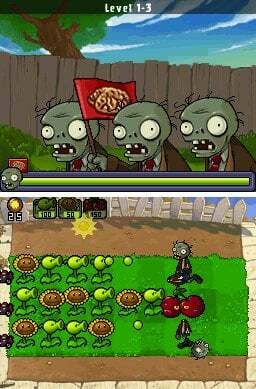 Sorry, no review of Plants vs. Zombies yet. 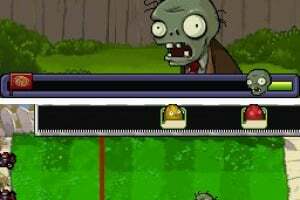 Stem a zombie attack in the fun-dead action hit — now on Nintendo DS! 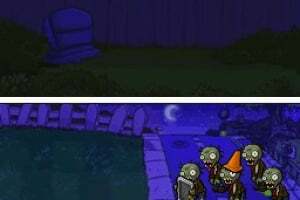 A mob of zombies is about to invade your home, and the only defense is your arsenal of home-guardin' plants. 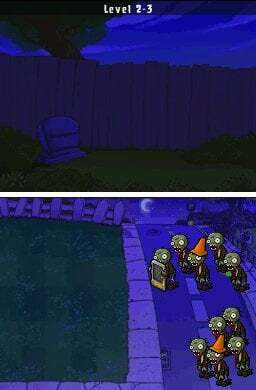 You'll have to think fast and plant faster as you zap zombies through day, night, fog, in the swimming pool and on the roof. Dig into five game modes and add to the action with four all-new mini-games. Take on a friend in Versus mode and choose your side. 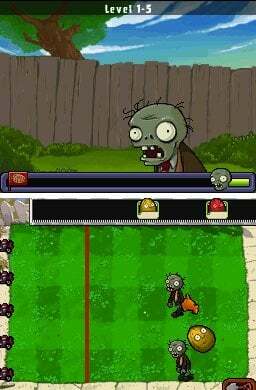 You can even make your own zombie creation with the Zombatar™! The fun never dies! 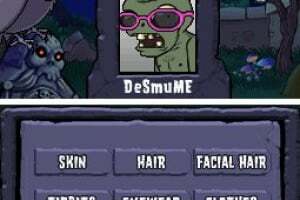 Adventure Mode: Take out zombies before they invade your home. It's important to protect property values! 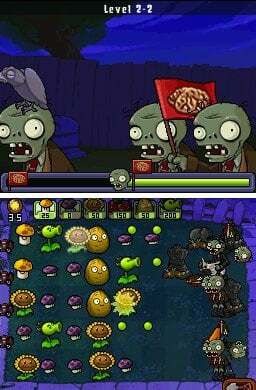 Survival Mode: See the fun-dead advance in a relentless horde. How long can you hold out? Puzzles: Just because you have a fun-dead problem is no reason to be brain-dead! Grow your brain with these deadly difficult puzzles. 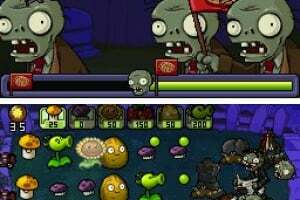 Mini-Games: The fun-dead come in all varieties! 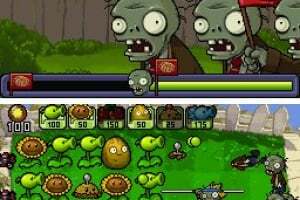 Play different mini-games to take them out! Zen Garden: Tend your plants, keep your snail happy, and earn more money to reinvest in your home! 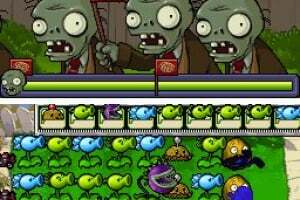 There's plenty of fun-dead to be had in Plants vs. Zombies! Unfourtanetley, this will probably get bad sales in eu since it's out on the same day as the 3ds.I'll still get it at some point though. Why isn't there a review for this game? I don't want to buy it until there's a review. Please do one. @Portista It's coming, thanks for asking so politely. 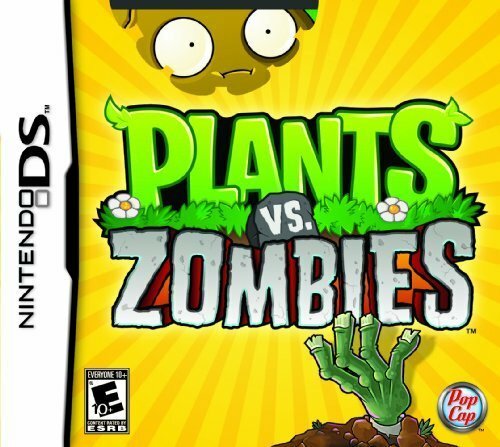 My most played DS game in a looong time! 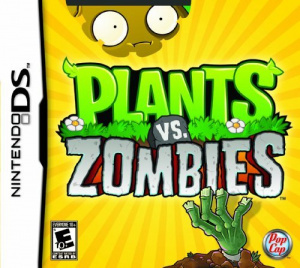 @mnoah this game is great on the iPod Touch, but on the DS it has bad graphics and is just not very enjoyable to me. I pre-ordered this game, actually. It is super fun at first but then just gets boring. I like the iPod version better. @James oh yeah it's definitely coming. I've been waiting quite a while for a review...are you still working on it James? Thanks for replying btw. 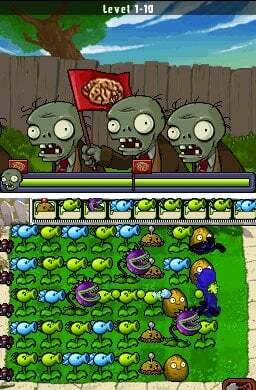 Get this game, huge PVZ fan over here! 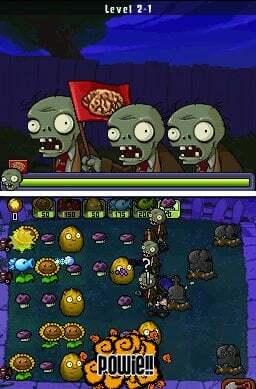 How ever, if you are not a PVZ fan and want to try this game out, get the DSiWare version for about 12$ less, has the full adventure mode and some of the mini-games. that's right, I is lesser than 3! You've got the DSiWare review. 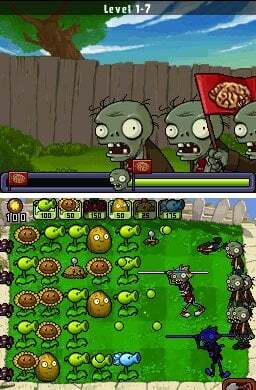 The game is basically the same except it has two additional modes: VS and Survival. 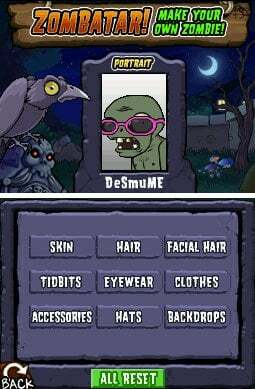 It's a solid and very fun game. 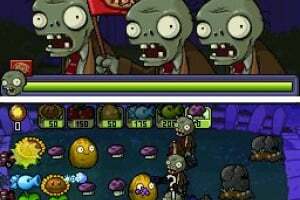 I Have The Game Today The Zombies Look Like Chibis To Me?. I already had the DSiWare version, and I got this version for the multiplayer alone. I don't regret it. 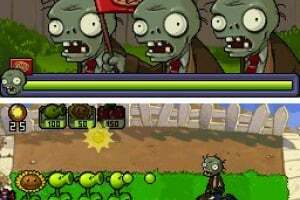 But to be fair, I am a Plants vs Zombies fanboy (that is until Garden Warfare came out), so I wouldn't buy this just for the multiplayer if I were you. But if you don't own this game in any other form yet, and you see this version laying around, please do pick it up, it's great.